Today, as Rajinikanth turns a year older, we tell you why the superstar is a perennial source of inspiration for fans and casual observers alike. As far as fans of Southern cinema are concerned, Rajinikanth is not merely just a beloved matinee idol but an absolute phenomenon in the purest sense of the word. Born Shivaji Rao Gaekwad, ‘Thalaiva’ has over the years established himself as a synonym for greatness courtesy his stylish onscreen mannerisms, rich baritone, and of course charismatic personality. He is a self-made man: Rajinikanth was not born with a proverbial silver spoon in his mouth. On the contrary, he had to face a lot of hardships during his formative years. The son of a Bangalore based Marathi constable; he was soon forced to work as a coolie in order to earn his daily bread. Thereafter, he tried to earn some extra money by taking up the job of a bus conductor. However, financial stability still remained a distant dream for the man who would one day earn in crores. Luckily, Rajinikanth never lets these challenges break his spirit and continued his search for a better future. As such, it would be safe to say that the veteran star is the very personification of fortitude. Rajinikanth continues to stay humble: Rajinikanth is someone who has clearly not let stardom or fame take a toll on his humility. While over the years numerous stars—right from Anushka Shetty to Alia Bhatt—have been floored by his warm and grounded ways, the most definite proof of his down to earth nature was seen during the audio launch of ‘Robot’. At the event, he cracked jokes at his expense and thanked Aishwarya Rai for agreeing to work with him. Moreover, on another occasion, Rajinikanth remarked that he was a just a “small king” compared to the Shahenshah Amitabh Bachchan. Interestingly, the two superstars have worked together in Hum, Andhaa Kanoon and Geraftar. A complete family man: It was in 1980 that Rajinikanth tied the knot with playback singer Latha, beginning a new phase in life. 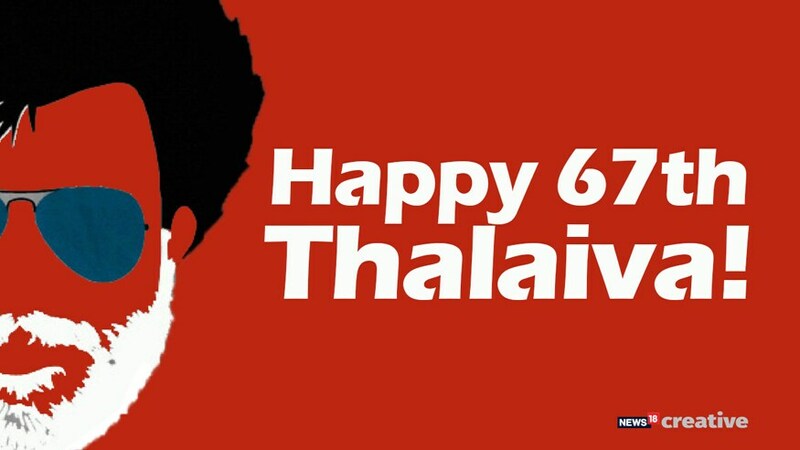 Since then, the ‘Thalaiva’ has maintained a low profile on the personal front. 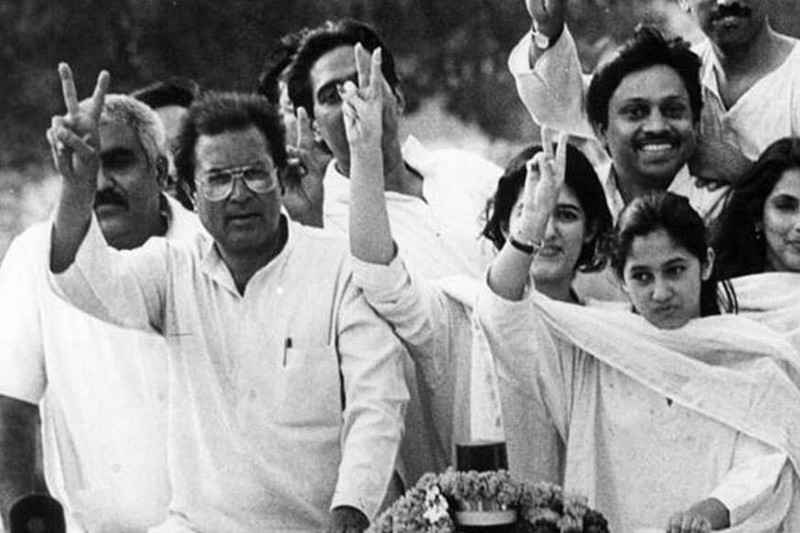 The father of noted filmmakers Aishwarya and Soundarya, the actor rarely talks about his family life at public events. As such, he has always tried to shield his family from constant public scrutiny. Moreover, recent developments suggest that the superstar is extremely close to his grandkids, In fact, some time ago he asked the makers of Lingaa to name the film after his grandson. Rajinikanth is the textbook definition of selflessness: Last year Chennai was hit by a devastating flood which brought life to a standstill. Pained by the death and destruction caused by this calamity, he asked his fans to refrain from celebrating his birthday and instead help the flood victims return to normal life. These actions are strong proof of Rajinikanth’s unselfish nature. These were also illustrated in 2002 when he offered financial help to the makers of his ‘Baba’ when the film underperformed at the ticket box office. Now, the superstar is expected to take the plunge into politics leaving his fans ecstatic and his competitors worried. Will he make the big move or not, is up to him, but as an entertainer, Rajini is an undoubtedly the king.